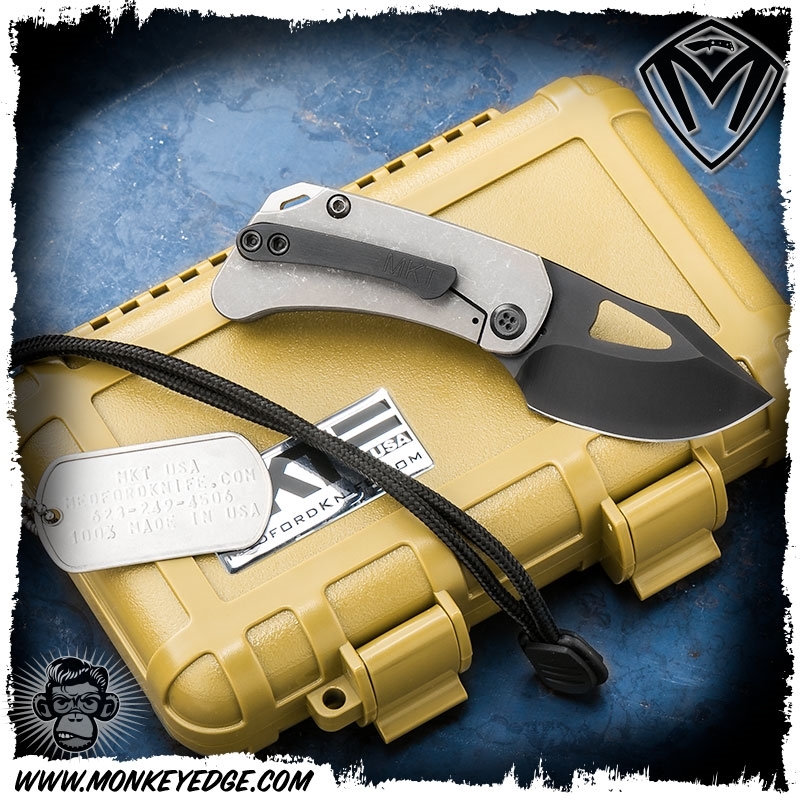 The Frame: Full titanium frame with tumbled finish. 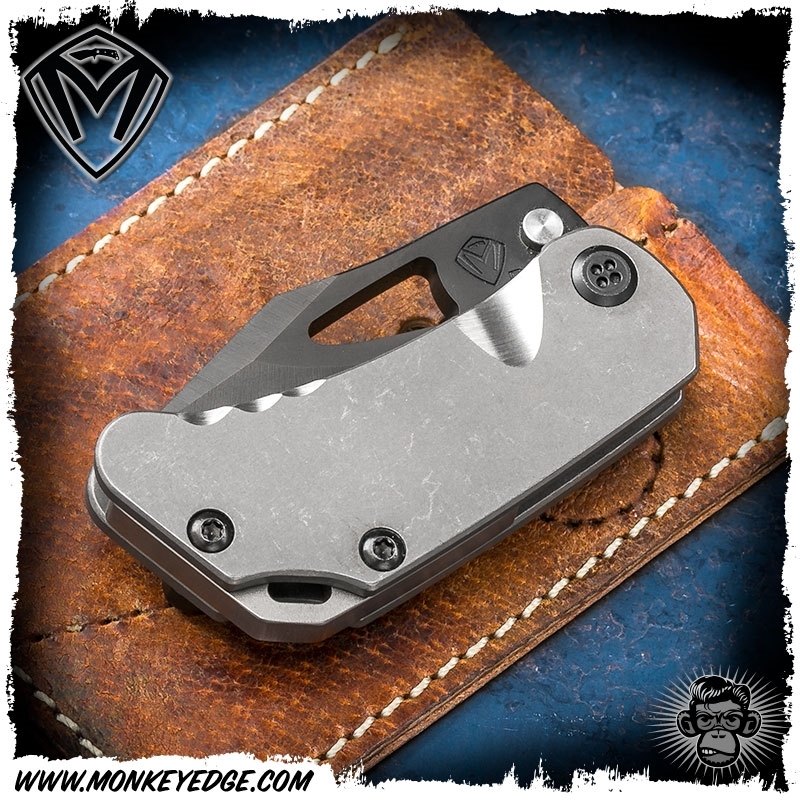 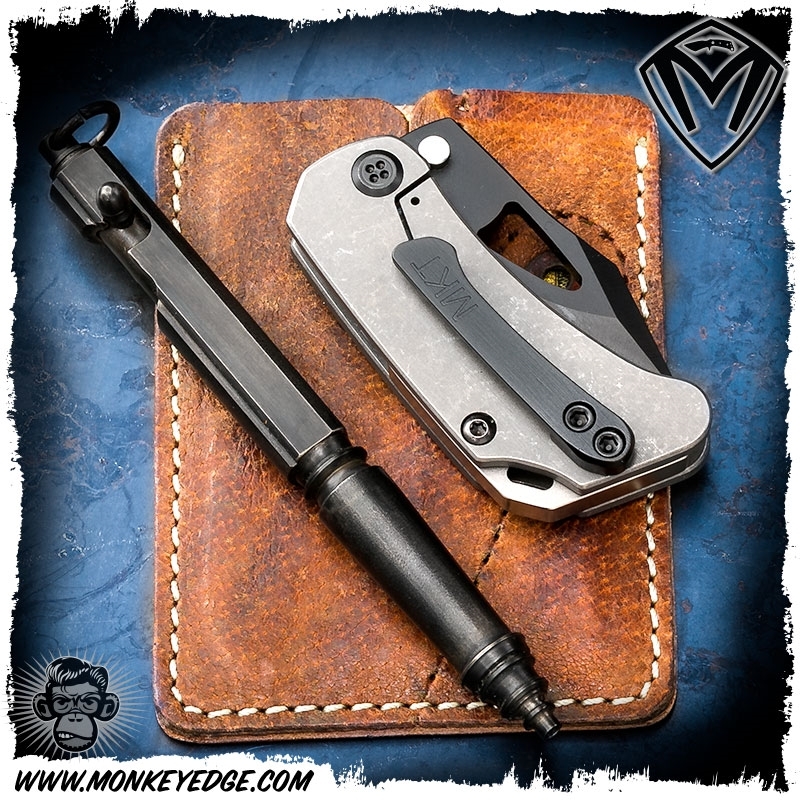 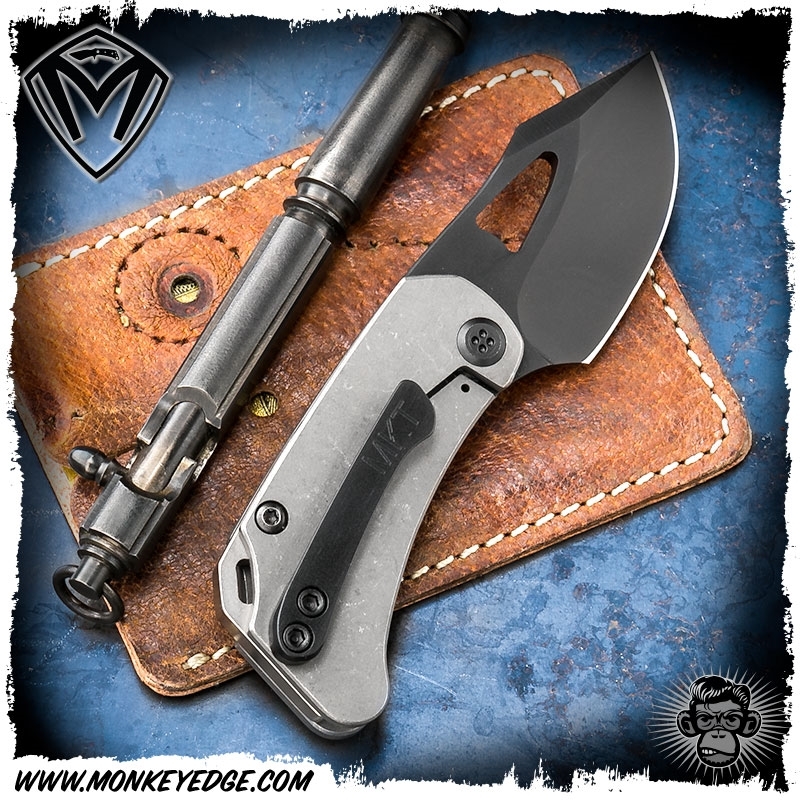 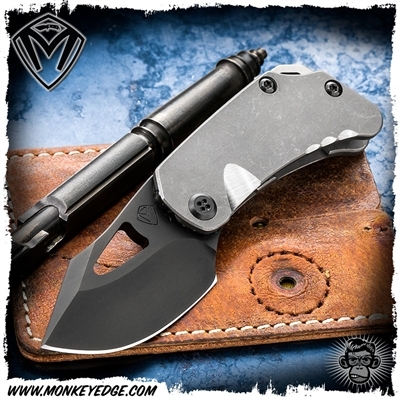 Machined titanium pocket clip and hardware with black PVD finish. 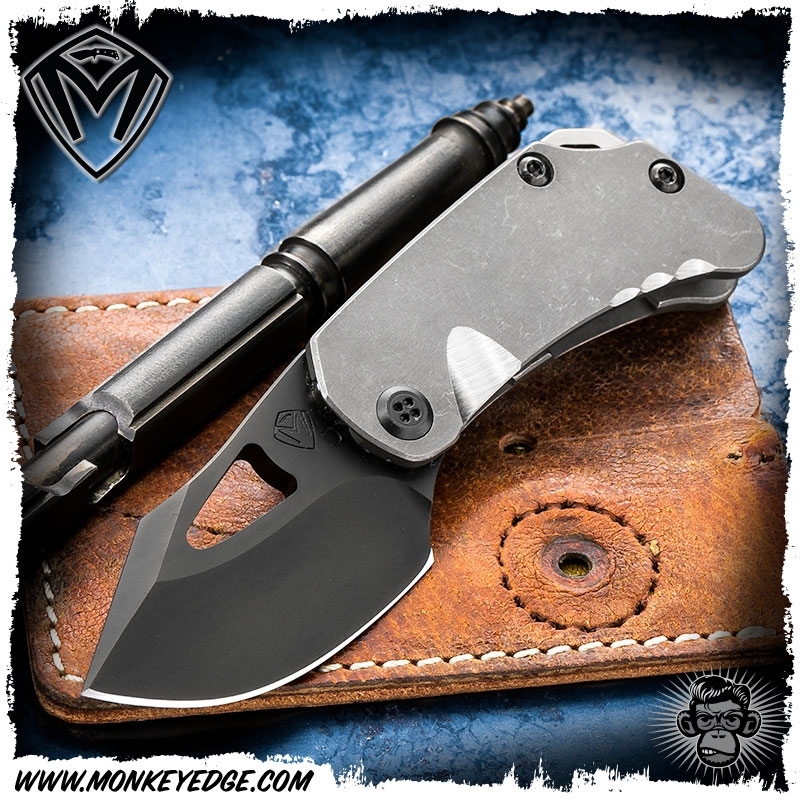 The Blade: Hand double hollow ground drop point profile with upper swedge and corrosive resistant black PVD finish.